In response to market changes, 85℃ Bakery Café comprehensively updated its point-of- sale (POS) system, which is used in nearly 600 of its branch stores in China. The company also introduced Advantech's UShop+ solution to prevent losses incurred from cash register schemes. This solution involves collecting and transmitting POS data for comparison with CCTV images recorded during transactions. Thus, the risk of cash register schemes occurring in branch stores can be reduced, thereby enhancing management efficiency. In a business exchange meeting hosted by the Taiwan Chain Stores and Franchise Association, several food business owners were discussing problems related to store management. Apprehension was expressed about 80% of business transactions this month being made through groupons, yet this was inconsistent with the actual number of groupons that had been sold. Concerns were also raised about the hiring of personnel to monitor CCTV footage to check for signs of fraudulent transactions. The approach was found to be inefficient and had a low probability of catching the thief. 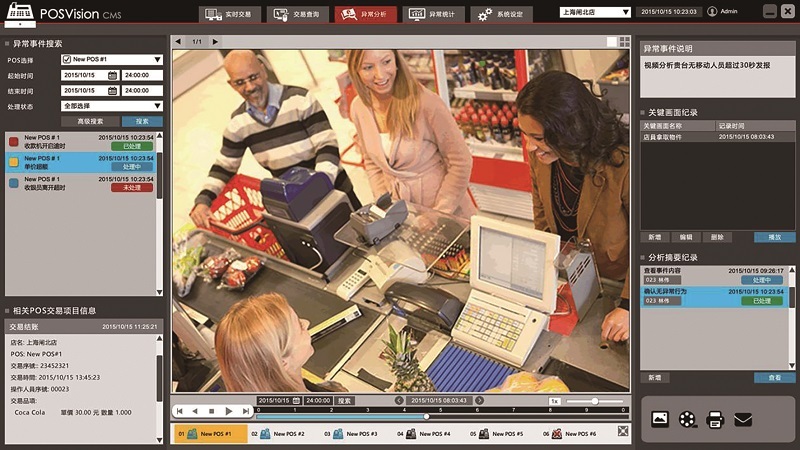 For retailers, determining how to prevent cashiers from engaging in embezzlement is a crucial management issue. 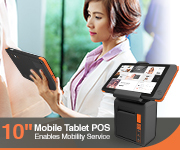 A well-known retail chain in Taiwan and China, 85℃, introduced Advantech's UShop+ cash register scheme prevention to almost 600 branch stores in China to simplify management procedures through the adoption of IT. Established in 2001, 85℃ entered the Chinese market in 2007. In the following 10 years, the company has delivered outstanding performance, yet the effects of rising prices, adjustments to brand positioning, a rapid increase in the number of branch stores, and the emergence of new payment methods (e.g., Weixin and Alipay tools) rendered 85℃'s IT systems unable to fulfill current user requirements. Therefore, 85℃ began transforming its IT system for the third time since its inception, by introducing a new POS system and integrating Advantech's solutions. 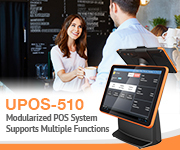 The old and new POS systems differ in their data transmission structure; the old system was built into a terminal POS device that uploaded data directly to the company's headquarters. However, the new system stores data in a local server at the branch store before uploading to headquarters. Thus, after updating its system, 85℃ had to equip its branch stores with small servers for POS data storage and transmission. Subsequently, Advantech's UShop+ cash register prevention solution, which integrates both software and hardware, became 85℃'s optimal choice. According to Wesley Liu, Intelligent Retail Business Development Manager at Advantech, 85℃'s original plan was to purchase general desk top computers as the branch store POS servers. However, considering factors of expandability, operational stability, and functionality, the company finally decided to cooperate with Advantech. The UShop+ cash register scheme prevention solution uses a DS-570 embedded computer as the host server. 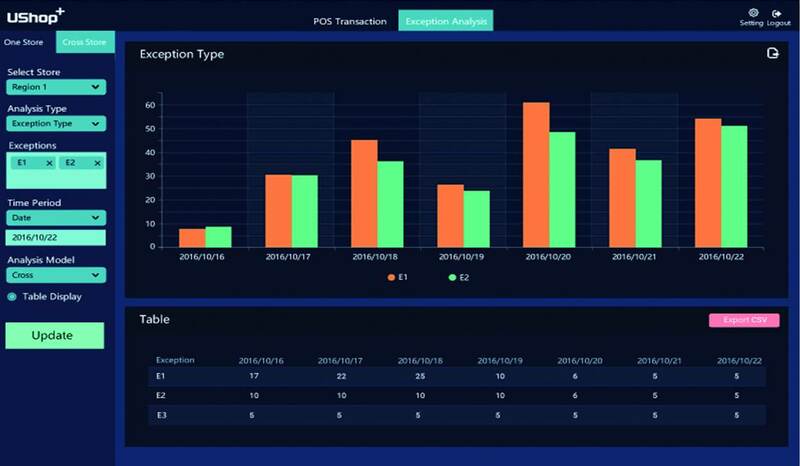 In addition to enabling the identification of abnormal transactions, the system also features expandability for integrating smart applications such as tools for energy and environmental management, store benefit analysis, customer flow statistics, and customer group analysis. Furthermore, 85℃ required that these store servers operate around the clock, but they did not require a mouse or keyboard because they were to be remotely controlled from the company's headquarters. 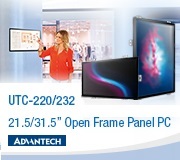 General desktop computers are not suited for long hours of operation, whereas Advantech's IPC-7130 is a factory-controlled technology specifically designed to operate steadily for long periods. Finally, to ensure data security, 85℃ requested that a RAID1 configuration be included with the local servers at the branch stores; to accommodate this request, Advantech customized its IPC-7130 units to contain two 1-TB hard drives. Because the UShop+ solution demonstrated significant effectiveness, 85℃ anticipates continuing to integrate Advantech's other UShop+ solutions this year, including those for energy and environmental management and customer flow analysis. For 24-hour chain stores, energy expenditure accounts for more than 20% of the company's total operational costs; therefore, energy management is pivotal for 85℃. Before June this year, six of its branch stores in Shanghai took the lead in introducing the energy and environmental management solution; by the end of year, this solution will be extended to all branch stores in China. Subsequently, 85℃ will be able to monitor the historical records of each store and compare the energy consumption levels by time point and store; this will enable quickly identifying any abnormalities in individual stores, and energy consumption costs can thus be reduced. Dean Sun stressed that Advantech's UShop+ provides solutions for various smart retail applications, including cash register loss prevention, store benefit analysis, restaurant queuing, air quality monitoring, energy management, and smart electronic signage. From a single-point application perspective, numerous solution suppliers are currently competing in the market but none of them resemble Advantech, which integrates all smart retail applications into a single platform to provide a comprehensive range of hardware and software solutions. 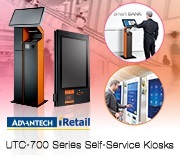 With Advantech's one- stop UShop+ cash register prevention solution platform, retailers can purchase whatever smart applications they need to facilitate the realization of Industry 4.0.